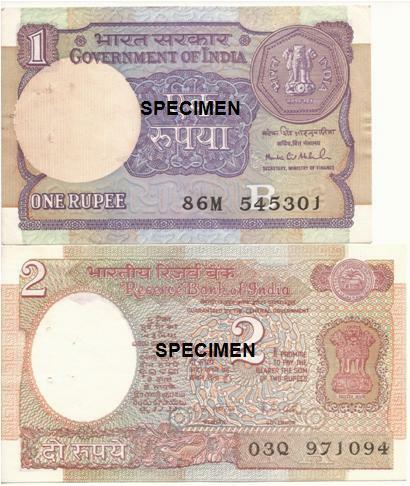 Believe it or not, If you have one old one rupee (Indian )currency note in good condition you may get up to Rs2,000. If you have one old Rs1,000 currency note in good condition you may get up to Rs30,000. How? I had been to India recently and bought the Stamp and Coin Catalogues. There is another catalogue just for Indian paper money (currency notes). When I was browsing through them, some amazing facts came out. Mahatma Gandhi’s Rs 10 mint (not used) stamp is worth Rs 13,000. If it is in good condition even after it is used it may get you up to Rs 6,500. (The Stanley Gibbons catalogue price for mint is £140. ).I am not going to talk much about the rare stamps. The price for the rarest Indian stamp is around Rs2.5 lakhs. Indians are becoming richer and richer now. My son earns in one year more than what my dad earned in his life time! There are two reasons. After the boom in computer industry and the exodus of Indians to foreign countries they earn a big fat salary abroad. When foreign companies started investing in India they started giving salary equal to foreign pay. When one earns abroad and converts it to Indian currency that person’s salary will be a big sum. The moment one becomes rich and all the basic needs are fulfilled, one turns to arts. That is what we saw in the age of Guptas which is known as the Golden Age in Indian History. They minted a lot of gold coins which can be seen in big museums around the world. Literature, Arts and Sculptures reached its peak during that time. Now we see the repeat of History. When antiques of great value are auctioned in London and New York Indian s are buying those antiques. The reason is simple. They have money and the time to appreciate it. Probably they may think it is good investment as well. The increase of price of Gandhi stamps and Indian currencies may be attributed to this trend. I used to buy Indian paper money guide book, Phila India( stamps) guide book and Indian coinage books at periodical intervals updating the prices. You will be surprised to find that the prices are going up rapidly. Old Indian one rupee issued in 1949 and signed by KRK Menon is priced as 2,000. It is in green colour. The later ones in bluish green colour can fetch you up to Rs300. But the last paper one rupee issued in 1994 will fetch you only Rs15. So the price depends upon whose signature (Governor of Reserve Bank) it carries, how old it was and what condition it is now.Rs 2 signed by B Ramarau may get between Rs 150 and Rs 750. Old Five Rupees with B Ramarau’s signature are priced up to Rs 1,200. Rs 100 of Ramarau’s days up to Rs8,000 and Rs1,000 currency up to Rs 30000. So if you have any old Indian currency save it for your children. Rummage through your attic and there may be a g fortune waiting for you. When in doubt contact me or go through the catalogues. I am also Facebook and Twitter (@Swami_48). Lord Shiva is one of the Hindu Trinity, a great god worshipped by millions of Hindus. Socrates was a great Greek philosopher who lived between 469 BC and 399 BC. Thiruvalluvar was a great Tamil poet and philosopher who lived approximately 1,600 years ago. The mysterious link between the three is the word POISON. Thiruvalluvar who composed 1,330 couplets (forming the Tirukkural) speaks about ‘friends giving poison to one’. Did he know Socrates? Because Socrates was sentenced to death for his teachings and was given poison. Lord Shiva also took poison for the sake of the Devas (the demigods in Hindu tradition). Now let us look at it in detail. Thiruvalluvar in his couplet 580 says ‘Men of refined courtesy accept even a cup of poison and look cheerfully calm’. Probably he knew what happened to Socrates. Greeks and Romans were doing a lot of trade with the Tamils two thousand years ago. There is a big gap between the age of Thiruvalluvar and Socrates and so there is every possibility Thiruvalluvar heard about him. Socrates was sentenced to death for corrupting the minds of Athenian youths and not believing in the Gods of the State. He was given a cup of hemlock poison. (Nowadays Americans also execute the prisoners on death sentence by giving poison by injection). Or did Thiruvalluvar refer to an episode in mythology referring to Lord Shiva? Lord Shiva drank the poison that came out during the ‘Churning of the Ocean’ according to Hindu mythology. But he did not swallow the poison and kept it in his throat. Thus he became ‘blue throated’. So Shiva was known to his devotees as Neelakanta (meaning one who has a blue throat). When the Ocean of Milk was churned, 14 good/auspicious things emerged. Both the Devas and Asuras (demons) were ready to share only the good things. But everyone refused to deal with the poison which threatened the whole of the universe. Shiva came forward and took it. One story goes that his wife Parvathi stopped him swallowing it by grabbing his neck – and there it stayed. Great Tamil poets like Subramanya Bharathi and Manikkavasagar also refer to this poison given by friends. Probably they just imitated Thiruvalluvar. (Bharathi’s lines ‘’Nachchai vaayile konarnthu nanbar uuttumpothinum…). Manikkavasagar says about this in Potri Thiru Agaval (‘Nanje amuthaay nayanthaai potri’). Natrinai, one of the 18 books of Tamil Cankam (also spelled as Sangam) has these lines as well. Poem 355 refers to friends giving poison (‘munthai irunthu nattor koduppin nanjum unbar nani naagarikar’). Strictly speaking poison was not ‘given’ to Lord Shiva by ‘friends’. In the case of Socrates it was such a clear betrayal. I will leave the judgement to the readers! Please send your feedback to: swami_48@yahoo.com, or through Facebook or Twitter (@swami_48). Mysore palace is a very big tourist attraction in Karnataka. Examples of its wealth include a pair of large silver doors in one of the rooms. But the best attractions are the throne and howdah of the Mysore Maharajah. The throne is made up of 200 kilos of gold. The howdah, which is mounted on the elephant, is made up of 80 kilos of gold. All these are displayed on Dasara (Vijaya Dasami) day. Politicians hold more gold than anyone else. In 1996 Ms Jayalalitha Jayaram, current chief minister of Tamil Nadu was arrested in a corruption case followed by the seizure of a diamond studded piece of gold jewellery weighing 29 kilos. Janardhana Reddy, former BJP minister of Karnataka, who owns several mines, donated Rs 45 crore worth golden crown to Lord Venkateswara of Tirupati. He donated another golden crown worth Rs 12 crores to Kalahasti temple. It weighs 30 kilos and the height of the crown is 2.5 feet. India bought 200 tonnes of gold from the International Monetary Fund recently and the gold reserve of the Reserve Bank of India is approximately 555 tonnes. But the golden reserves of the temples are far higher than the banks. Guruvayur temple deposited 400 kilos of gold in the banks. Instead of keeping the stock idle, they now they earn interest from the banks. Thiruvananthapuram Sri Anantha Pathmanabhaswamy temple was on the news all over the world after the discovery of incredible wealth in its underground chambers. If we go by newspaper reports this must be the richest institution on earth. ‘What the Lord of Tirupati can’t achieve by standing, the Lord of Trivandrum achieved by lying’ [down] – reported a newspaper in a lighter vein. The Lord of Tirupati is in standing position and the lord of Trivandrum is in a reclining position. The last press reports estimated the value of treasure trove as one lakh crores (22 billion U.S. dollars). The Supreme Court of India ordered not to open the last (sixth) chamber for security reasons and ordered those involved not to talk to the press about the findings. The court also asked the authorities to use video recordings. If we are able to see the videos one day, all the Indiana Jones films will be pygmies before that! Every month the famous auction houses of the world auction a lot of Indian antiques worth millions of dollars. Most of them are bought and smuggled out of India. Talking about the antique value of Trivandrum treasure it will be huge. The treasure includes a lot of Roman and East India Company gold coins. Mookambika temple near Mangalore in Karnataka has priceless jewels. The golden mask of Sri Mookambika weighs one kilo. Sapphires, rubies and emeralds decorate the crown. The Shivalinga statue is covered with two kilos of gold. Sanskrit and Tamil literature talk about the Gajamuthu (pearl from the head of an elephant). This temple has a Gajamuthu, which is very rare. Keladi Kings have donated a big green stone of great value (the size of your palm!). Mysore king has donated Navratna garland. M G Ramachandran (MGR), the great Tamil actor and former chief minister donated a diamond studded sword weighing over a kilogram. A golden chariot weighing 80 kilos was recently made for the temple. Indian news papers, particularly Tamil News papers, report thefts and robberies, almost every day. The big difference between the olden and modern days is the amount of gold lost. Even the wife of an ordinary worker loses 100 sovereigns in a theft. If it reflects the real condition of Tamil Nadu, just imagine how many gold sovereigns our rich people and the richer politicians would have. Prominent jewellers and financial experts agree that the Indian general public hold the biggest reserve of gold in the world. Nannan was a king who ruled part of Kerala called Poozi Nadu. A mango fell from one of the trees in his garden and it was washed away in the water of a canal. Any little girl or boy who sees a fruit will naturally go for it. So did a little girl in his town. The servants reported this ‘theft’. Immediately Nannan ordered to kill the girl for theft. The whole town rose against him. The girl’s father with the support of the VIP’s of the town met the king and begged to to release his daughter. He even came forward to give Nannan 81 elephants as a penalty. Nannan did not budge. Then her father told him that that he WOULD GIVE GOLD MEASURE FOR MEASURE. But evil Nannan executed the girl refusing to accept the gold. One of the great poets of Tamil Cankam (Tamil Academy) Paranar gave this story in Kurunthokai poem 292. Perunthalai Sathanar who sang a poem long after this incident refused to sing about another king Ilam Vichiko (puram 151) just because he was born in Nanna’ns clan. Till this day Nannan was ridiculed as a ‘Murderer of a little girl’. My purpose of narrating this story is to show the wealth of ancient Tamilnadu. Look at the word MEASURE FOR MEASURE gold. This is called Thula Bharam (Weighing in a balance). This is a Hindu Ritual followed in many temples, particularly Tirupati Balaji temple and Guruvayur Krishnan temple. The ancient Tamils were so wealthy they were ready to give measure for measure gold to Nannan. Another poem in Tamil literature says Tamil girls threw golden ear rings at the birds to chase them instead of stones. This may be an exaggeration! Having said ,that I want to point out the golden thula bharam of very recent years. In Thula bharam ritual devotees sit on one side of the balance and fill the other side of the balance with materials one wishes to give to god. Last year T N C Menon, managing director of the Bangalore based Sobha group of companies weighed himself in the balance and gave 70 kilos of gold to Guruvayurappan. Now and then we read about the CBI raids in Ashrams run by holy men of India. Very recently, when Sathya Sai Baba’s room was opened by his devotees after his death, they found 98 kilos of gold from Baba’s private chamber. They found gold and silver worth of Rs 76 lakhs from another room in addition to cash of Rs11.56 crores.But this was not a raid. About other holy men, newspapers reported of raids in several places in Tamilnadu and Karnataka and recovery of gold. Recovering 20 to 30 kilos of gold from government officers or industrialists is a common phenomenon in India. If one could collect all the data and total them it would run in to thousands of kilos. In Tamilnadu,Kerala,Karanataka and Andhrapradesh all major temples have got Golden Chariots for the gods and goddesses. Many of the vahanas (mounts of gods) are plated with gold. Each temple has used at least ten kilos of gold to make the chariots. 50 tonnes (50000 kilograms) of gold were sold all over India on that day alone. Please see attachment below in PDF format. Mohmed of Gazni invaded India 17 times just to plunder all the temples in North India. He came to know about the fabulous wealth of Hindu temples in Punjab, Rajasthan, Uttar Pradesh and Gujarat and targeted them. During each invasion he massacred several thousand people and took tonnes of gold and silver ornaments from the temples. Historians say that when he entered Mathura, birth place of Lord Krishna, there was no resistance. It was a cake walk for him. He took all the property of the temple. If one could make a list of all that Mohmed of Gazni plundered from the temples, he would definitely find a place in the Guinness Book of Records as the greatest plunderer in the world. He will put the Spanish plunderers of Inca and Maya gold to shame. The most famous plunder of Mohmed of Gazni was of Somnath Shiva temple in Gujarat. It had an incredible amount of wealth. The Shiva linga was covered with kilos of gold and gems. He broke the linga after taking all the jewellery. He got only 20 million Dinars from Somnath temple. The founder of Bharatiya Vidhya Bhavan Sri K M Munshi has described it in detail in his book about Somnath. These events took place between 1,000 AD and 1,026 AD. Historians estimate that he took three billion dinars from India. Afgan people lined the streets of the city of Gazni just to see the booty. As a side note – a Dinar is a gold coin. Different weights were used during different times but normally a dinar was four grams. Rajaraja was one of the famous Chola kings who ruled Chola country from 985 AD. He built the famous Brihadeeswarar Temple in Thanjavur. There are over 85 inscriptions of Rajaraja in the temple detailing his donations to the temple. He donated enormous gold coins to run the temple. He also donated a lot of gem studded golden jewellery to the gods and goddesses. It is estimated that he donated 4,000 Kazanju (8,000 grams) of gold. Rajaraja and his family members had donated 66 bronze idols to the temple. The inscriptions describe all the diamonds, emeralds, rubies, sapphires, pearls and gold with precise measurements. He also donated huge golden vessels. Dr R Nagaswamy, famous archaeologist and historian, has given a detailed account of all these inscriptions in his book about the temple. The antiquities had a value well beyond that of the gold itself. The current location of these items is unknown; they were all lost during the last one thousand years. Malikafur was the general of The Delhi Sultan Alauddin Khilji. When Malikafur invaded Madurai and Srirangam he plundered hundreds of places and took thousands of kilos of gold to Delhi. Madurai was under Sultanate rule for 48 years in the thirteenth century and the Madurai temple was closed for 48 years. The gold plundered by Muslim invaders slowly went out of the country when the Delhi sultans lost power. Kampanna Udayar was the General sent by the Vijayanagar Emperor to conquer Madurai from the sultans. His wife Gangadevi accompanied him and gave vivd reports of what her husband saw in Madurai, much like a news paper reporter. All her reports were in Sanskrit poetry in the book called Madura Vijayam. Women were very well educated in those days. She not only had the courage to follow her husband’s army, but also had written a beautiful running commentary of the war eight hundred years ago in Sanskrit. I have the copy of Madura Vijayam with me in London. Please contact me on swami_48@yahoo.com or leave comments and feedback below. Please also show your support and simultaneously register yourself for future updates by clicking ‘Follow’. It is a well known fact that India’s cultural empire extended to South East Asia in the first few centuries of our era. Hindu empire existed for over a thousand years in several countries in the region. But the fact that a Pandya king ruled Vietnam was missed by many historians. The first king in Vietnam was known by the name Sri Maran. Translated in to Tamil it is Thiru Maran. We knew several Pandya kings by these names through inscriptions and Tamil Cankam literature. The oldest Sanskrit inscription discovered in Vietnam mentions the name Sri Maran. Unfortunately we did not get the complete inscription. Most of it is not legible. The inscription is known as Vo-Chanh Inscription. It was inscribed on a rock as two parts. This is about the donation made by the family of the king Sri Maran. We have fifteen lines on one part of the rock and seven more lines on the other side. Of these only nine lines are readable. Scholars who took a copy of the inscription say the poetry part is in Vasantha Thilaka metre in Sanskrit and rest is in prose. The king donated all his property to the people who were close to him and ordered that it should be honoured by the future kings. The inscription ends abruptly. But we could read the words ‘Sri Mara raja kula’ very clearly. Though we couldn’t get much information about this king from other sources, Chinese historians confirmed that the Hindu empire that existed in Vietnam, Laos and Cambodia started with Sri Maran. Chinese historians named Thiru Maran as Kiu Lien and said that he captured Champa following a revolt. Champa was part of modern Vietnam. The French scholars who excavated most of the South East Asian sites have identified Kiu Lien as Sri Maran. All the kings’ names who followed Sri Maran were in Chinese style and beyond recognition. The revolt started in AD 132 against Chinese and Sri Maran ruled from AD 192.But the kings’ names end with Fan (in Chinese) which is nothing but Varman. As a surprising co incidence we have both Varman and Maran names in the Pandyan Kingdom in Tamil Nadu. There are more than 800 Sanskrit inscriptions in South East Asia. Mula Varman was another king whose inscription was found in the thick jungle of Borneo (Indonesia). Now let us look at the Tamil literature to get some corroborative evidence. The last king who ruled during the second Tamil Academy (Second Tamil Sangam) was Thiru Maran. When a tsunami struck his capital he moved his capital to the present day Madurai. May be he or his representative might have ruled Vietnam. Velvikkudi Copper Plate inscription also mentions Thiru Maran, Sri Maran as titles for a few kings. The king who ruled during the days of Tolkappiyar also had the title Thiru. He was Nilam Tharu Thiruvil Pandyan. We see the name Maran at least ten times in the colophon of Cankam poems. Most importantly the author of Natrinai poems 105 and 228 was Muda Thiru Maran. Velvikkudi Copper Plate says that Agastya was the Kula Guru of the Pandya clan and we see Agastya statues in several places in S.E. Asia. (See my article ‘Did Agastya drink the ocean?’ for more information) . The author of Purananuru poem 182 was Kadalul Maintha Ilam Peru Vazuthi. The translation of the king’s name will sound ‘the king who died in the sea’. This king might have died during an expedition to S E Asian countries. So it was not uncommon for a Pandya king to travel to a foreign country in first or second century. We have more evidence from the Tamil inscription in Malaysia, the discovery of Tamil coins in Thailand, Greek and Roman writers’ references about South Indian Marine trade to support our argument in favour of Pandya’s expedition to South East Asia. (For more information on inscriptions of Champa/Vietnam please read R.C. Mazumdar’s book). Please do contact me with feedback at: swami_48@yahoo.com, or leave comments below. To Master the Tamil language….Keep a calculator handy! How many years would it take to master the Tamil language? The simple answer is that no one can complete studying Tamil in one’s own life time. The Tamil proverb says ‘’ kalvi karai ila, karpavar naal sila‘’(Art is long, Life is short). Another saying goes that even the most learned persons say ‘’Katrathu kai alavu, kallaathathu ulaka alavu’’ (What one has learnt is a handful, what one has to acquire is as expansive as the world). No wonder Sir Isaac Newton , who discovered the three basic laws physics said , ‘‘ I was like a boy playing on the sea-shore and diverting myself now and then finding a smoother pebble or a prettier shell than ordinary, whilst the great ocean of truth lay all undiscovered before me’’. Tamil is a very rich language and produced literature for 2,000 years without a break. Even If we just take the poems composed in the first 1,000 years , it would be impossible to study all of them within one life time, let alone understanding the full depth of the poems. Tamil stands on par with other ancient languages like Sanskrit, Hebrew, Chinese, Greek and Latin. Tamil Cankam literature consists of 18 books; that is, 2,381 poems sung by 473 poets running into 30,000 lines composed in the first few centuries of modern era. The oldest Tamil book is a grammatical treatise called Tolkappiyam. Following the Cankam period we had epic period which saw five great Tamil epics including the most famous Silappadhikaram and Manimekalai. 18 books on ethics including Tirukkural were written after this. If we take in to account the Thevaram, Thiruvasagam, Thirumanthiram and the Divya Prabandham sung by the great Four Saivaite Saints and 12 Vaishnavaite saints one has to take several births to complete studying Tamil. Don’t take my word for it. Take a calculator in your hand and do the calculation for yourself. The last three poets lived in the past few centuries. I have not yet dealt with Villipuththurar Mahabharatham, Nalavenba by Pukazenthi, Siledai (double meaning) poems of Kavi Kalamegam, 18 Puranam translations running in to several thousand lines, Kallaadam, all the grammar books including Nannul, Nikandu /dictionaries, Siddhar songs etc. Now do the maths with your calculator. Each one will read it at their own speed. If you read a few poems every day understanding every line of it, how many years would it take? If one discovers the beauty of the poems composed by poets like Bharathiyar in the last century, you wouldn’t waste a single minute! Enjoy reading Tamil books. Can you name these Tamil Scholars? Could someone please help me identify the people in the photo?? This photo was given to me by Mr T.A. Srinivasan of Indian Express Group, Madurai. 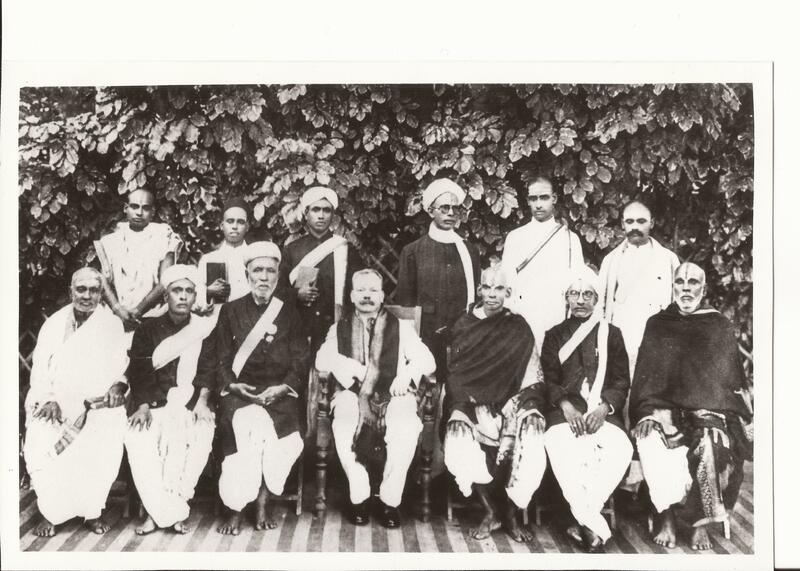 Picture of a number of unknown Tamil Scholars...can you help me identify them? I need help in identifying the Tamil scholars. Please post comments to the blog or send me an email on: swami_48@yahoo.com. I am also available on Facebook and Twitter (swami_48). Please note, this is the third part in a series on why India is the Richest country in the world. For the second part, click here. In the last part, I looked at a small portion of the historical and mythological evidences on the wealth of India. Leaving the mythological stuff to aside let us look at the real world. Many a people wouldn’t know that the LARGEST GOLDEN TEMPLE IN THE WORLD IS IN TAMIL NADU. Sripuram near Vellore has a beautiful golden temple for the Hindu goddess Narayani. They have used 1,500 kilos of gold in the temple. You will be stunned to see the shining gold amidst an evergreen field surrounded by the blue mountains. The saint who lives there has planned and built it according to Hindu Vastu Shastra. Now compare it with the most famous Indian wonder the Golden Temple of Amritsar. The Sikhs used just 100 kilos of gold! But it is more famous than the Tamil temple. Largest consumer of gold: India is the largest consumer of the yellow metal in the world. India imports 1,000 tonnes of gold every year. Though a big chunk of it is exported, once again it is Indian women who buy it back it from the jewellery shops of London, Dubai and Switzerland. India has the largest number of gold jewellery shops in the world. One must visit South Avani Mula street of Madurai, particularly in the evening. The street is full of glittering gold shops. Even the ancient Tamil Cankam literature speaks about the 24 hour gold shops in Madurai. They called them Naal Angadi (day time shops) and Al Angadi (night time shops). Indian households account for a whopping 15,000 tonnes of gold according to the latest newspaper reports. People have grossly underestimated the great thirst of Indian women for gold. Fish can live without water, but Indian women can’t live without gold. Is it a sweeping statement? No, not at all. Look at the temple sculptures and Ajanta and Sithannavassal paintings. We have got 3,000 years’ worth of proof for their taste for wearing expensive jewellery. Even the Indus valley dancing woman wears a chain with three pendants. The Barhut sculptures show women wearing enormous jewellery, the weight of which she can’t possibly bear. Next time you visit any temple, forget the gods and goddesses and look at the beauty of Indian jewellery on the sculptures. Tribal women on the Himalayas wear beautiful semi precious stones in their chains. What Mohammed of Gazni took from Somnath temple in Gujarat and what Rajaraja Choza donated to the Big temple – Gold, Gold nothing but gold! What did Indian women buy on Akshay Thrithyai day? Gold recovered from Ashrams etc.